This week we had several visitors on the trail cameras. Keep in mind that one of these cameras has a messed up clock, so the time stamp reads that the video was taken in 2068. These cameras are pretty good technology, but they aren’t that good! 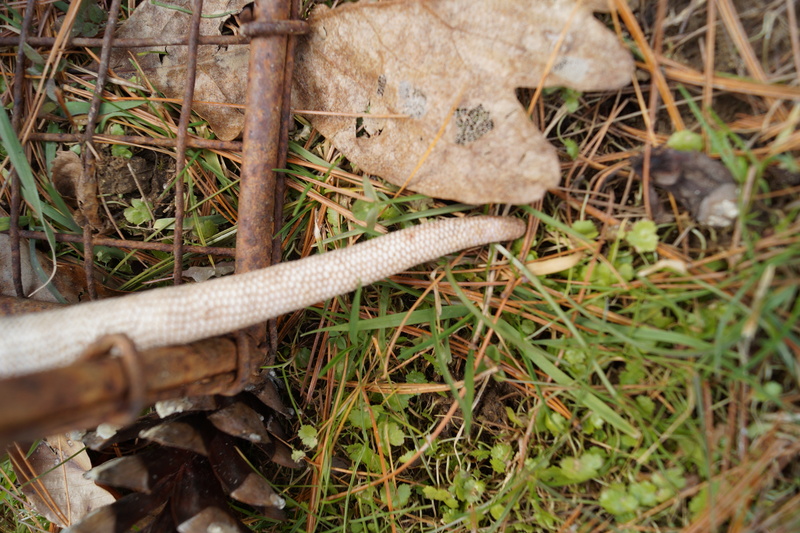 I can’t tell whether it is a white-footed mouse or a deer mouse, which is hard enough to do in the broad daylight. These animals are in the genus Peromyscus, and although we call them mice, they aren’t closely related to the mice that originated in Old World. New World rats and mice are more closely related to voles, hamsters, and lemmings than to house mice and Norway rats. Because of the size of the raccoon, I am assuming that this one was a male. He was coming to inspect a pile of sticks and logs that I have anointed with weasel lure. It’s a little female Virginia opossum. 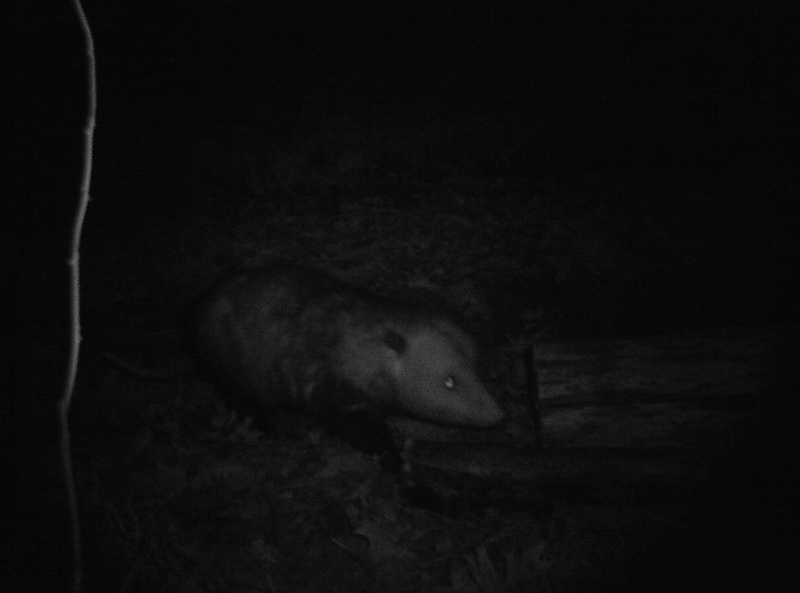 I get opossums on the trail camera fairly regularly, and because I find them somewhat less interesting than other animals, I usually don’t post their photos on here. This one, however, is kind of interesting because it has the features of a very mature individual. 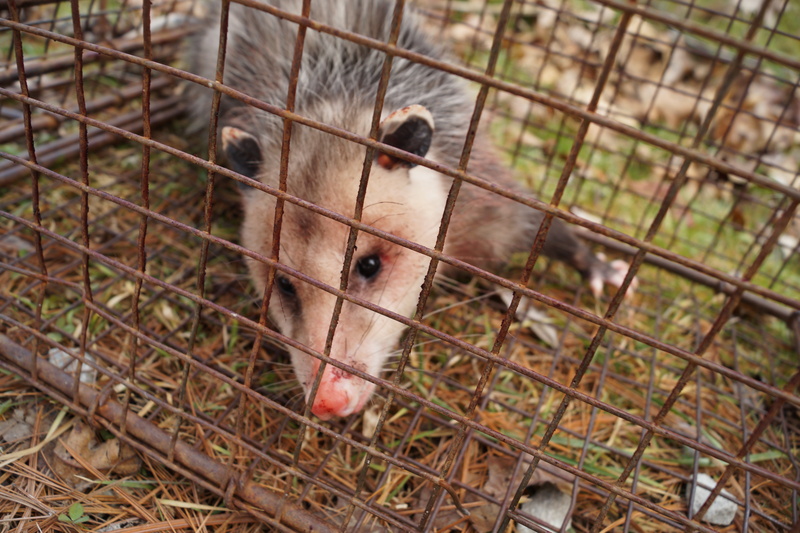 Now, keep in mind that Virginia opossums don’t live very long, even though they are about the size of a domestic cat. In captivity, their record longevity is a measly four years. But this individual is at least on its second year. The frostbitten ears suggest that it has survived more than couple of very hard freezes. As opossums mature, they get a lumpy head profile. When they are younger, they have a more collie- or borzoi-like head, but as they get up in years, this starts to change. 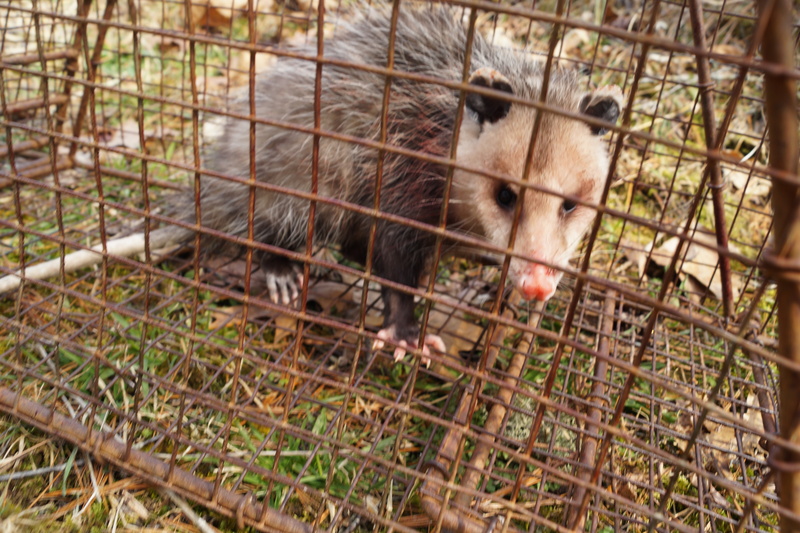 This opossum is the most primitive mammal north of the Rio Grande, and when I say this, I don’t mean that it’s primitive because it’s a marsupial. It’s actually a primitive marsupial, meaning that it looks very much like the earliest mammals that gave rise to all marsupials. Indeed, it is so primitive that the similarities between New World opossums and the West Indian solenodons are pretty striking. The two species of solenodon retain many primitive features of the ancestral placental mammals, and it would make sense that the primitive opossums and primitive solenodons would look somewhat similar to each other. 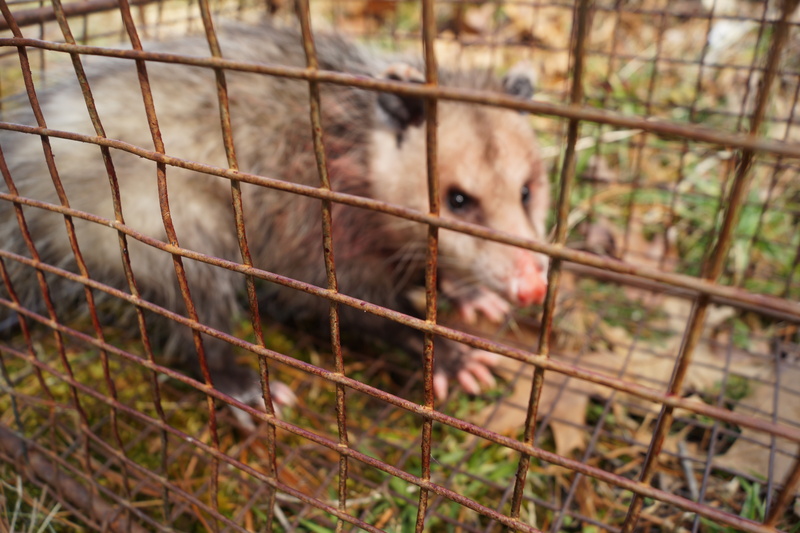 Beyond their taxonomy, there aren’t really that many amazing things about opossums. They don’t have very complex behavior. There are claims of them having amazing intelligence that one can find online, but these clams are not born out in reality. The thing is, you don’t have to be too smart if you can eat just about anything and reproduce by having dozens of offspring every year. And even though they are primitive, natural selection has still worked its ways on their kind, but it’s just not change them as much as it has us, coyotes, or red kangaroos.